The Facebook Inc.-owned instant messaging app WhatsApp, has finally released a new version for desktop – WhatsApp Web desktop version which allows send and receives text messaging from computer web browser. WhatsApp Messenger is a cross-platform messaging app which allows users to send and receive text, audio, video, and voice messages without need to pay any costs. Instead, it routes the messages through Internet via wireless (Wi-Fi) or mobile data (3G/4G/EDGE) network. The new WhatsApp Web desktop version compatible with Android, Windows, Nokia, and Blackberry devices. It let user link a website accessible through web browser to their WhatsApp account. As long as user remains logged in, WhatsApp conversations will sync between the mobile device and desktop. In order to use WhatsApp Web, users need connect web browser to WhatsApp on mobile device. Next, visit https://web.whatsapp.com/ in Google Chrome. 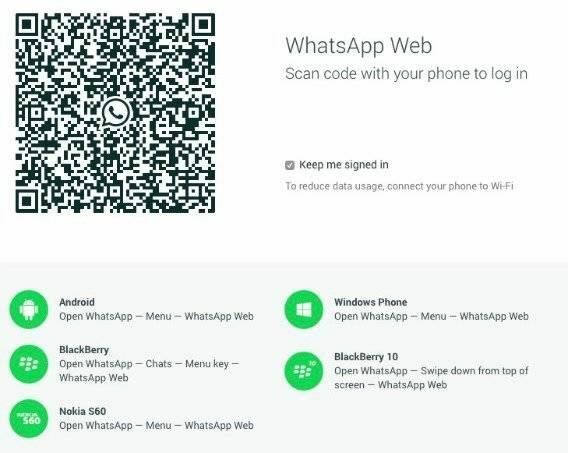 Follow the on-screen instructions to scan a WhatsApp Web QR code with your mobile device. Scan the QR code and all WhatsApp conversations will appear in Google Chrome browser. To receive alerts of incoming messages on desktop, click on Allow (top-right corner of Chrome) when prompted. However, there are five limitations for WhatsApp Web.